Put together our Special Crab Meat Salad Recipe in only 20 minutes. 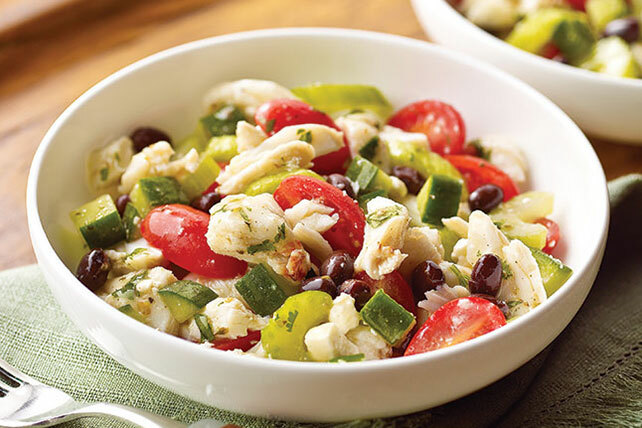 This tasty crab meat salad recipe is perfect for a special occasion— or any occasion. Substitute 8 quartered compari tomatoes for the grape tomatoes.